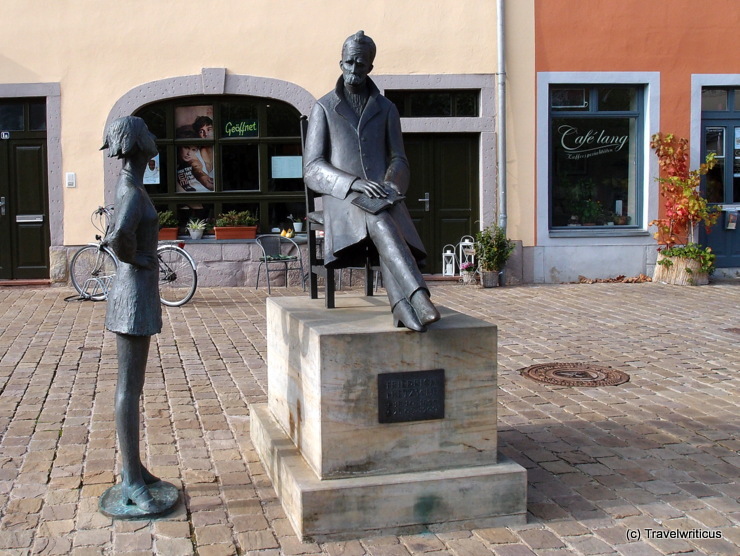 This monument to German philosopher Friedrich Nietzsche (1844-1900) is located at a square named Holzmarkt (Timber market) in Naumburg (Saale). 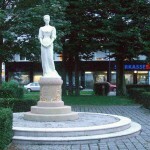 After the death of his father in 1849, Friedrich Nietzsche lived in this city from 1850 to 1856. 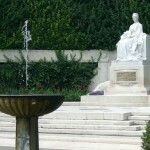 His former home is now a museum dedicted to his life and work. 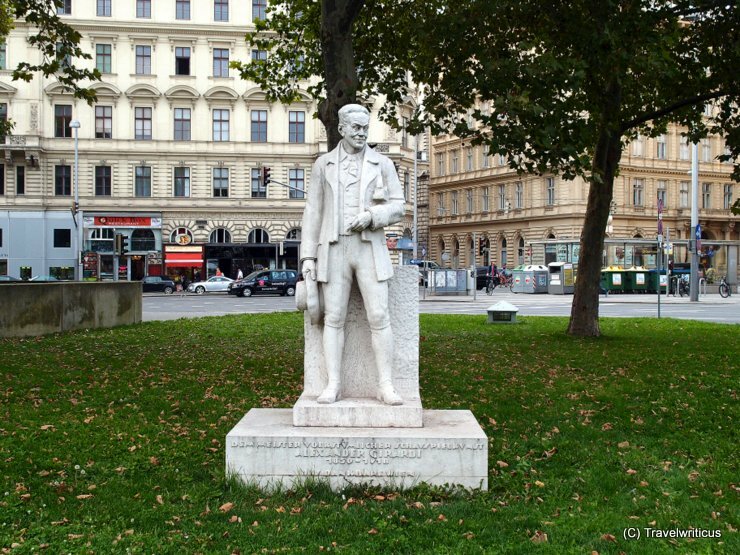 On a small green square near the Karlsplatz, I come across a monument to Alexander Girardi. He carries a wood plane under his arm. What does that mean? 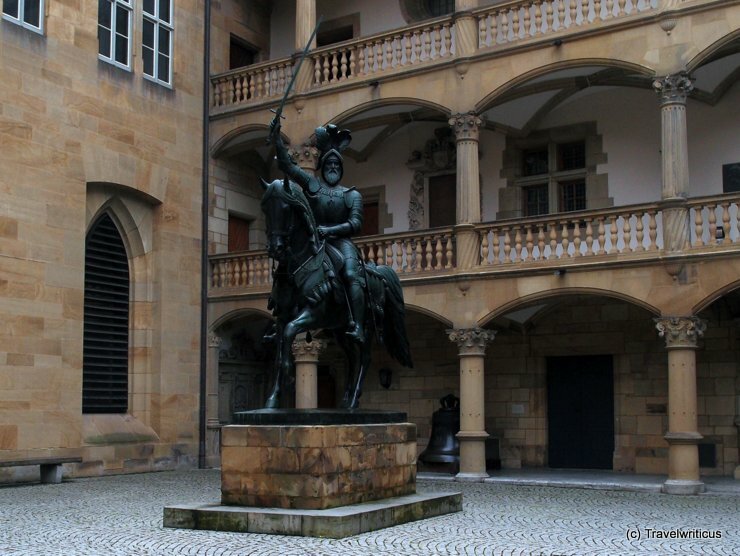 Monument to Eberhard I, Duke of Württemberg situated in the Altes Schloss (Old Palace) of Stuttgart. Eberhard (1445-14969 was the first Duke of Württemberg. He was also known as Eberhard im Bart (Eberhard the Bearded). 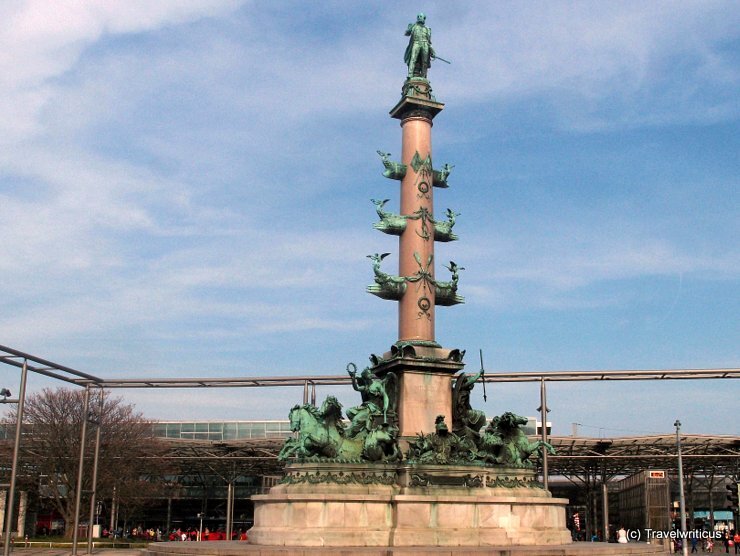 This monument to Wilhelm von Tegetthoff located next to the railway station Praterstern in Vienna was created by Carl Kundmann in 1896. Wilhelm von Tegetthoff was an Austrian admiral and got famous for the victory of Lissa (1866). 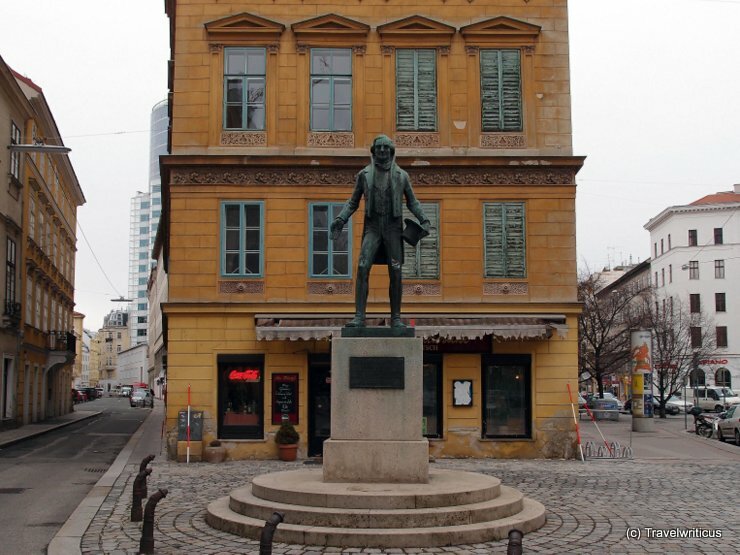 Monument to Johann Nepomuk Nestroy located near Nestroyplatz at the 2. district called Leopoldstadt. Johann Nestroy (1801-1862) was an Austrian singer, actor and playwright. He used comedy for parody and criticism in a period of strict censorship. 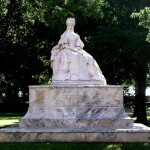 One can still find monuments to Elisabeth of Austria, also known as Sisi, in different places of the former Austro-Hungarian monarchy. 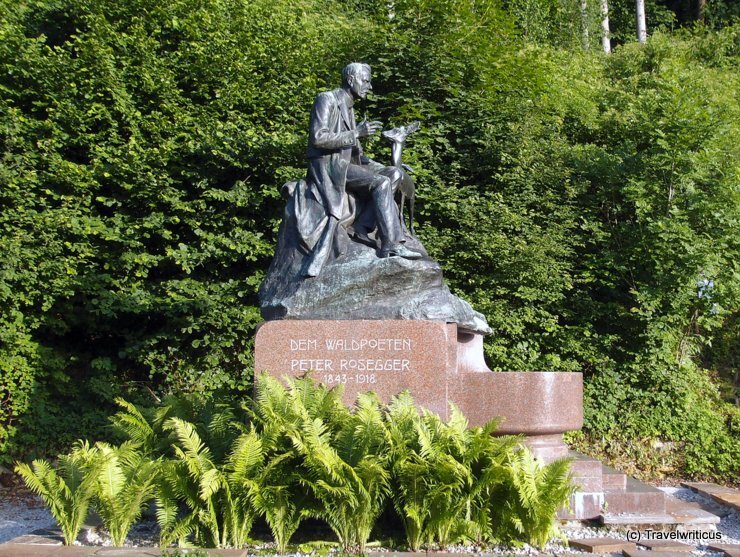 A monument to Peter Rosegger located in Kapfenberg. 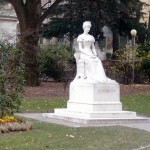 He was a famous regional poet in Styria. 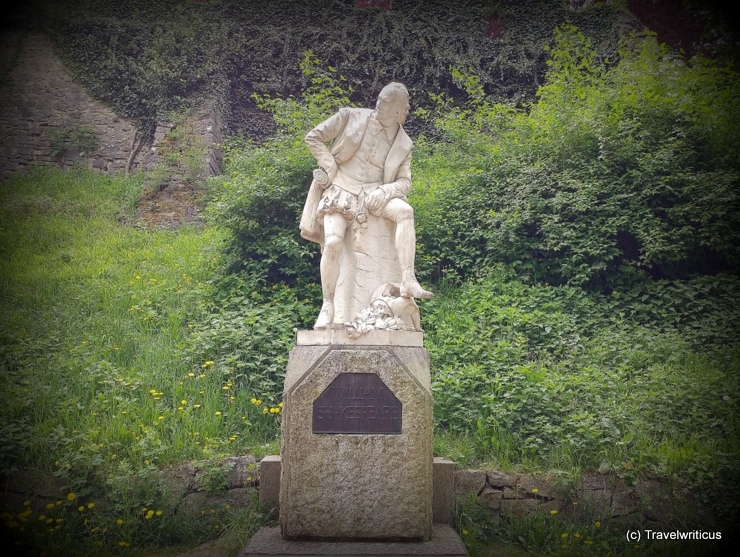 The monument mentions him as a poet of the forest which probably refers to the fact that he grew up in the forest nearby and wrote much about the life there. Riding the Wachau Railway I always wondered about the meaning of this big memorial just next to the tracks. After a visit at the Domäne Wachau I had the chance to learn more about it: It is a memorial about an engagement between French, Austrian and Russian troops during the Napoleonic Wars on Nov 11th, 1805. The 9th day of my InterRail journey ended at the railway station Wiener Westbahnhof in Vienna. 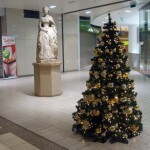 It was nearly midnight when I arrived. 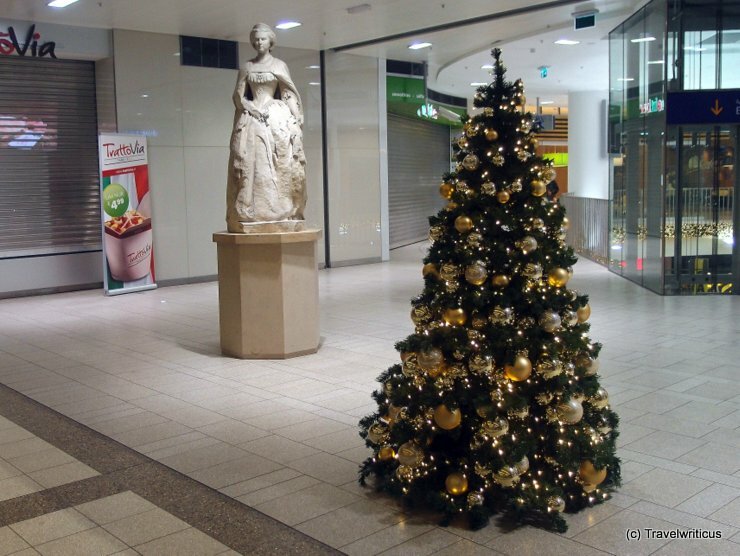 Only the statue of Elisabeth of Austria (‘Sisi’) bid me welcome.